Puerto Rico is rebuilding after the devastating effect of Hurricane Maria – and across the country, cities and states are welcoming the students who have left the island. City Connects coordinators are working hard to welcome these students and meet their needs to make it a little easier for them to focus on school. Especially in Massachusetts, a state that’s getting an influx of students. “More than 300 school-aged children from Puerto Rico are now living in Massachusetts, according to Jacqueline Reis, spokeswoman for the state’s Department of Elementary and Secondary Education,” the Salem News reported last month. This month, MassLive.com reported that, “880 students fleeing Puerto Rico have enrolled in Massachusetts public schools since the hurricane hit,” according to state’s education department. 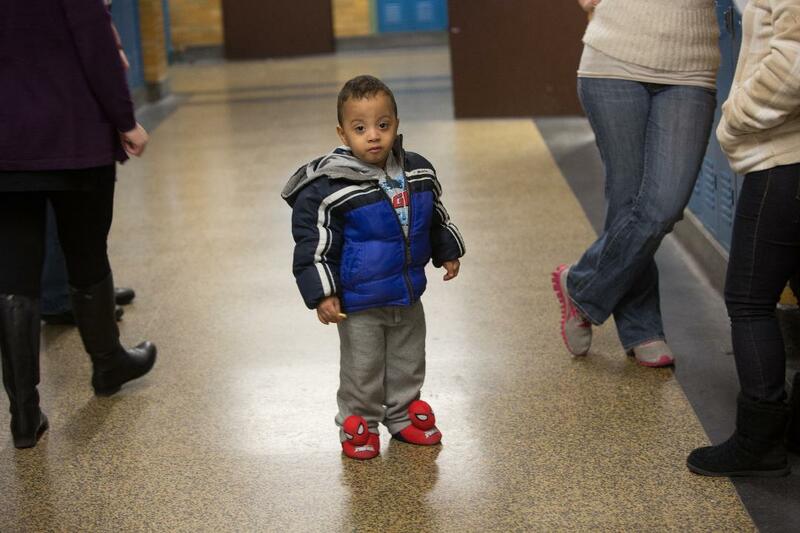 In Springfield, schools are accommodating scores of students from Puerto Rico. Some of these students do not speak English, and many have Individual Education Programs (IEPs) or 504 plans — both of which ensure that children with disabilities have what they need to do well in school. Since many of the students who moved to Springfield from Puerto Rico do not have permanent places to live, they are considered homeless. To help these students, Springfield Public School’s Homeless Education Services Department — along with the City Connects coordinators — is working with the nonprofit organization Cradles to Crayons on a special coat drive to ensure students from Puerto Rico are ready for winter. In Boston, School Superintendent Tommy Chang said coordinating resources is essential, the Boston Globe reports. In Boston’s Mendell Elementary School, one City Connects coordinator has mobilized the school community to send help to Puerto Rico. Madeline Gillespie organized a school-wide fundraiser call Pennies for Puerto Rico. It started as a penny drive and grew to collect other coins and bills, raising a total of $1,426.63. This will be donated to UNICEF USA to support the organization’s relief work in Puerto Rico. Students are also writing letters of encouragement to students in a school in Dorado, Puerto Rico. Even in the face of a catastrophic natural disaster, City Connects’ systemic approach to student support makes a difference. As student and family needs change, we are ready: helping schools and communities to respond, coordinating access to resources, and ensuring that each student gets the right services at the right time so that they can focus on school.